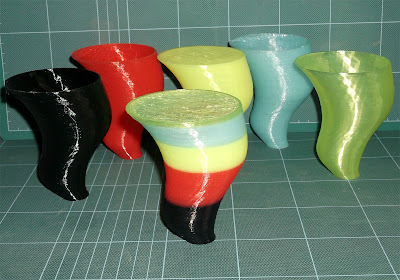 I managed to get hold of some different coloured PLA, unfortunately I could only get 3mm filament, so after printing a new 3mm extruder which I can now also use to compare the Bowden setup with a direct feed, I decided to try some coloured and multicolour printing. 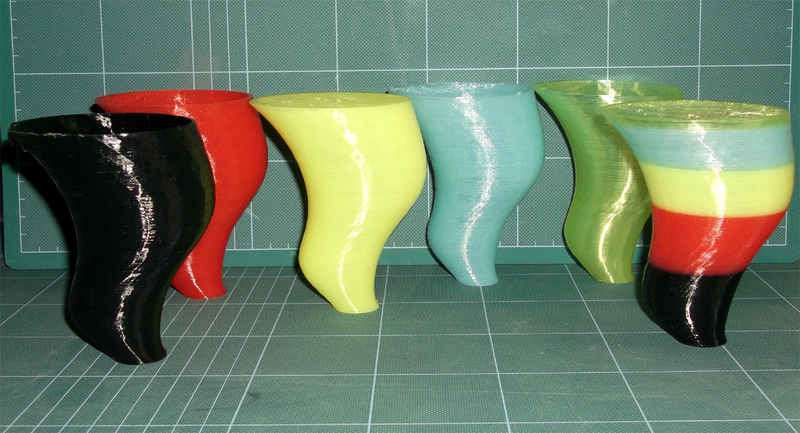 Having printed these different coloured twisters I can see that each colour has slightly different properties. It’s quite evident from the filament spanning in free air that you need different temperatures for each colour. 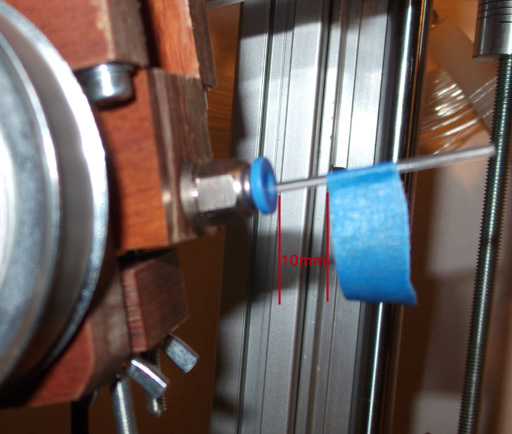 The Blue is particularly odd giving micro-bubbles inside the extruded filament if I run it at 196 deg c, but these are minimised at 187 degrees. The Blue is also more brittle in it's filament form, but produces a very hard part when extruded. The Red is also more 'sticky' and is a little prone to very fine strings, maybe a change in temperature will resolve this, I need to further experiment with red. 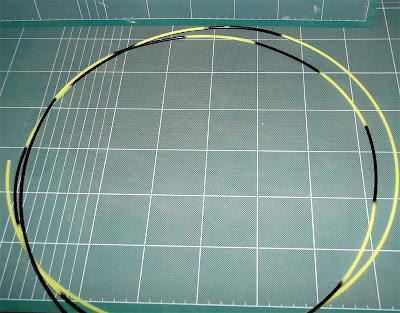 Black is lovely and glossy about 75% opaque but it's a smaller diameter than the others being an average of 2.7 so I needed to compensate in SF for this or my prints would end up less filled. Yellow is my favourite for printing, its clean and precise when extruding at 196C, it layer bonds very well and the printed parts feel very similar to ABS, being strong but with a little give, it does not snap in filament form, just bends so softer than the blue but this is a good thing for printed parts being used for construction or use. 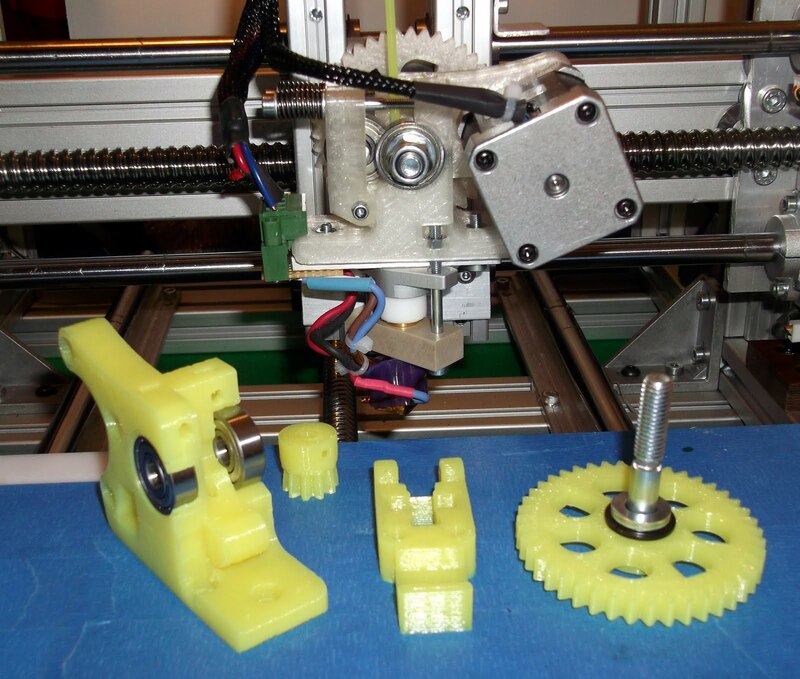 I printed an extruder in yellow and it seems like the ideal material if you are not using ABS. 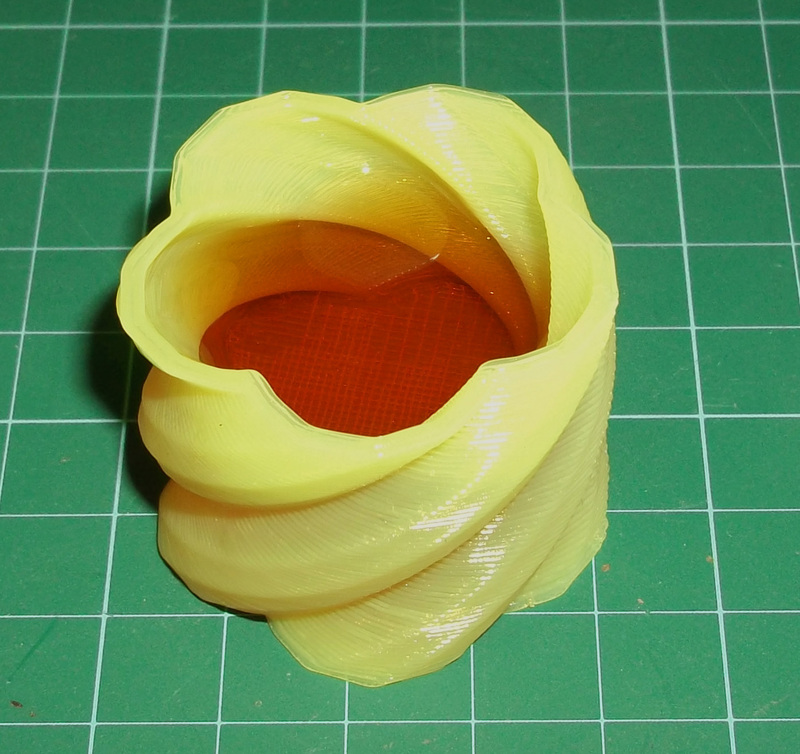 The Yellow also seems to have the best filament spanning properties, but I expect much of this is dependant on temperature and the 'softer' makeup of the material. 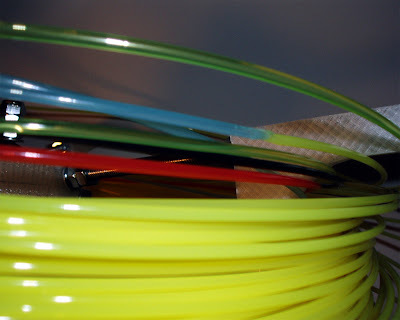 The properties of the Green filament fall between Yellow and Blue and looks really nice when printed, it seems to give the best definition of the printed object. 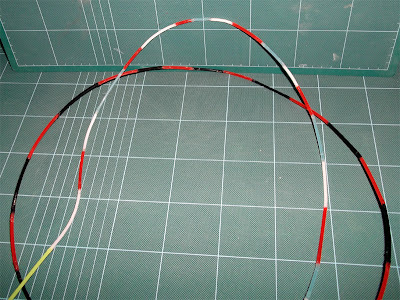 Martijn is based in Europe and can do you a very good deal on PLA and ABS, contact him for more details and mention RichRap if you get a chance. 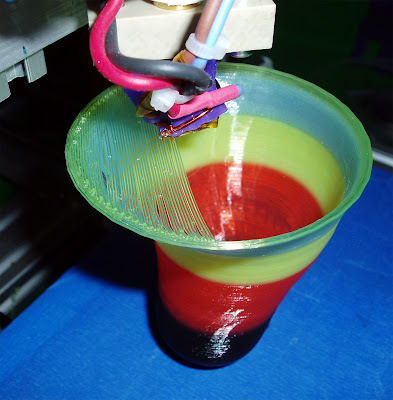 1) - Start the print with one colour filament, pause the print and reverse out the filament and load a new colour, continue the print. 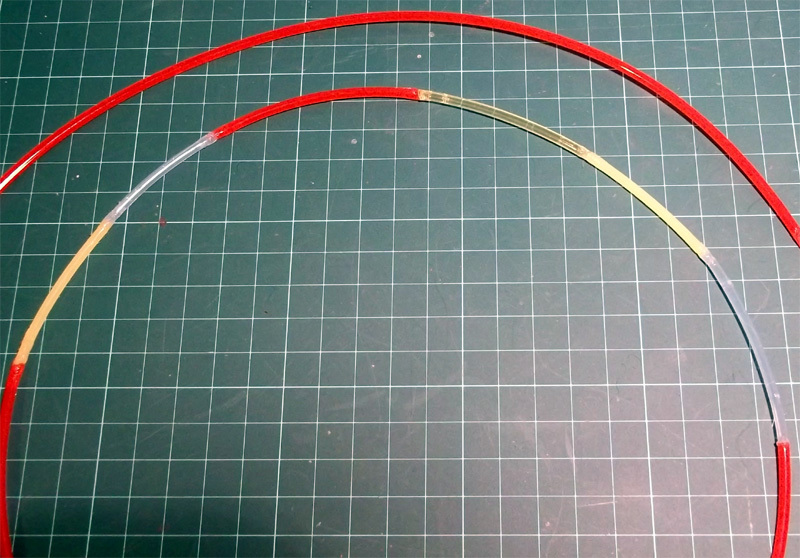 2) - Join lengths of different coloured filament together and print them in one go (using hot-air guns or flames). 3) - Use multiple extruders with different coloured filament, produce some complicated Gcode to control them. I tried joining with a flame (lighter) this is not a good idea, it does not work well and it's easy to snap the join after cooling, it also can char the filament, not something you want to feed into your extruder. I then tried a flat heated block of Aluminium, melt both ends and join, roll them on the block, this works but can make a mess and it's a little fiddly. 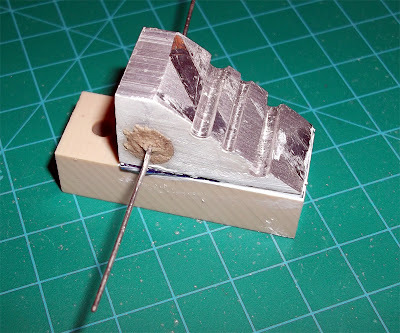 I decided to make a Aluminium block with a heated channel so I can join and rotate the filament, this works really well and it only takes 5 seconds to join pre-cut lengths together. 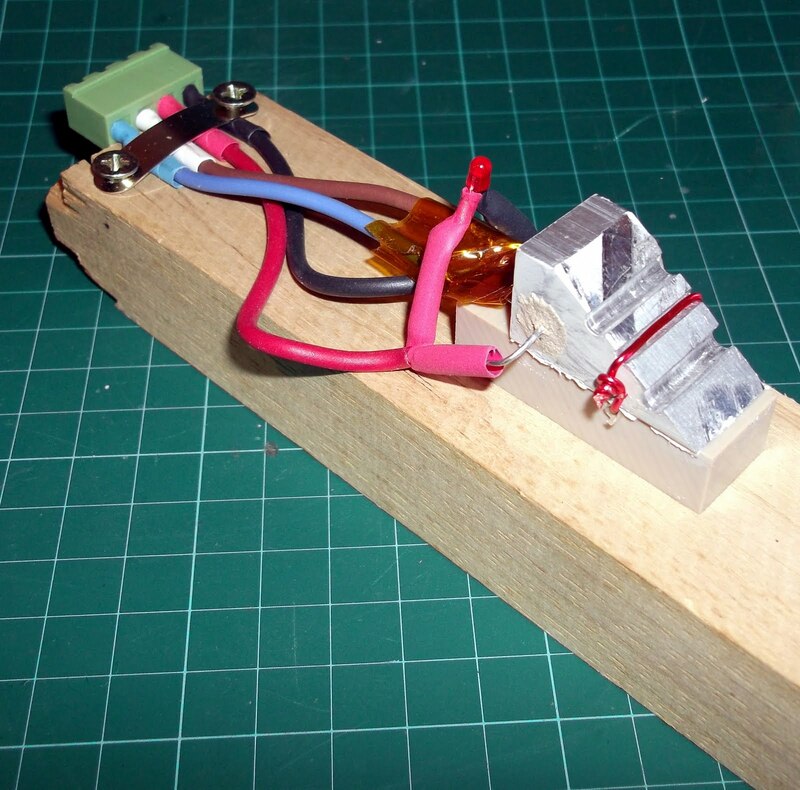 Mount it to a block of wood or something you can clamp down. 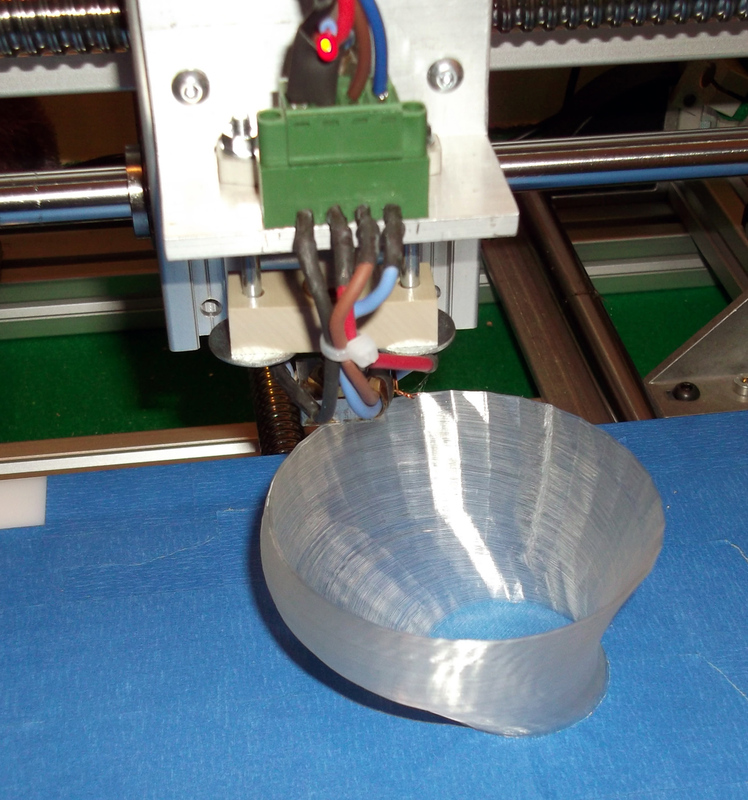 I found a good temperature was about 160 Degrees C, this gives you time to heat and rotate the filament and also joins it really well. So if you hold a piece of filament in each hand and melt both ends on the side of the Alu block, then sith the into the grove and push together then give them a quick rotate you should have a joined filament (after a little practice). 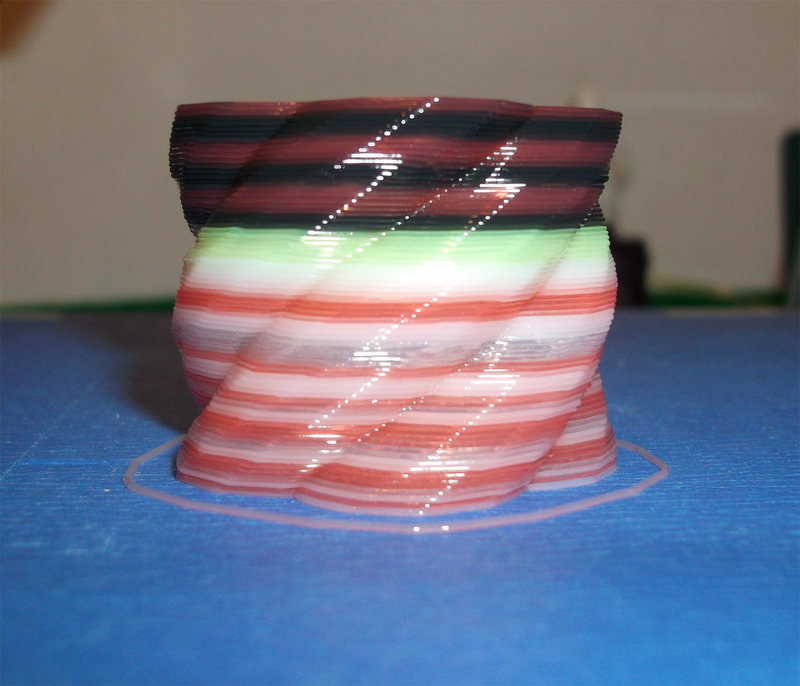 I join the multicoloured piece to the end of a roll so if your measurements over run the print will continue. You can see above the blue is about to change to green. 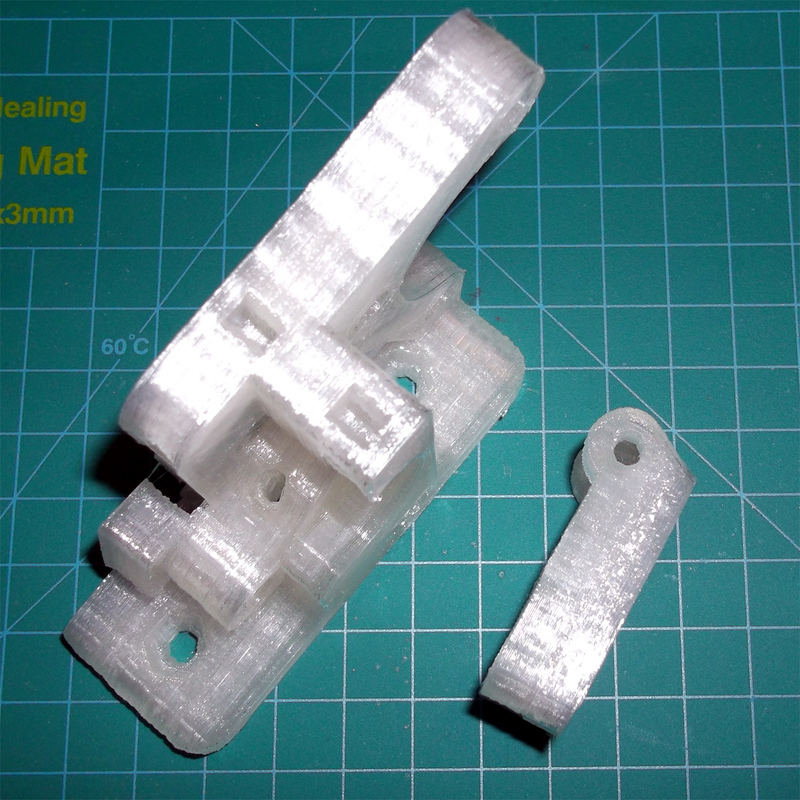 I didn't know how the hobbed bolt would cope with the minor surface changes at the join, but it was not a problem at all, the filament just gets drawn straight down, I have not had a single problem. So now I can print multicoloured things in one go. 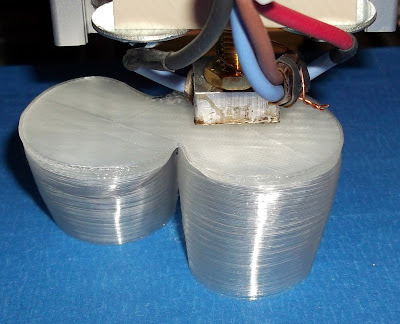 1) - Have a shorter heating zone, just ~4mm for each side, this would help keep the filament more rigid when you twist it to remove the join. 2) - Have a bigger flat area that you can quickly melt both the filament ends, I'm using the side of the block to do this, but a bit more area would be good. 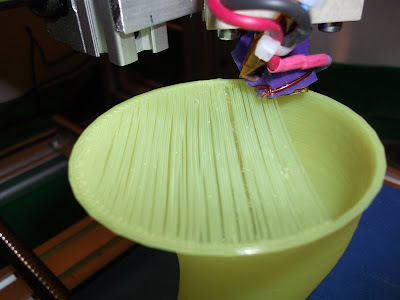 3) - Have a cold block or wet sponge to rapidly cool the joined filament in place or a foot pedel (you need both hands to hold the two filaments) controlled fan so you can blast cool it. 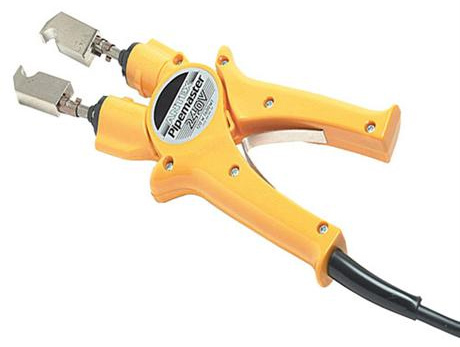 If you had a foot-pedal controlled one of these for filament joining it may make the job easier. 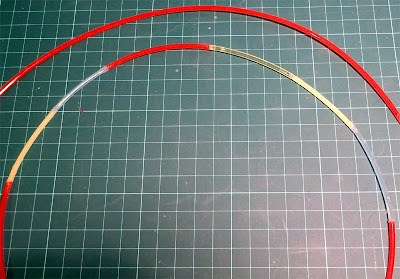 Now the challenge was to be able to work out exactly how long each piece of filament should be so I could do whatever layer in whatever colour I wanted. Thanks to a little advice on the reprap forum, Greg Frost pointed out that Grep could help me calculate the filament feedstock used per layer. 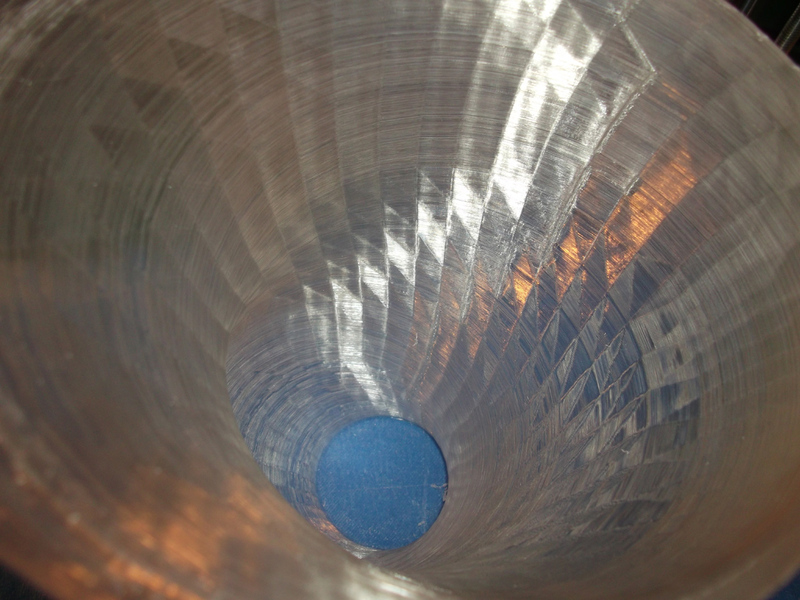 I needed this information for my next challenge... More soon on this. 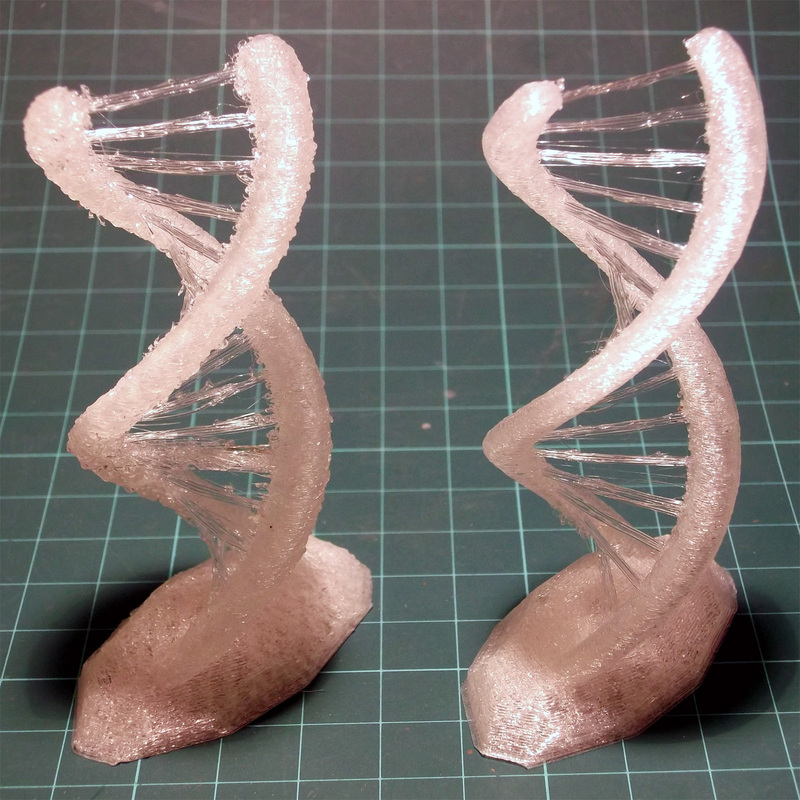 Today I managed to make a clone of a clone on my 3D printer, something I have wanted to do for well over a year now. 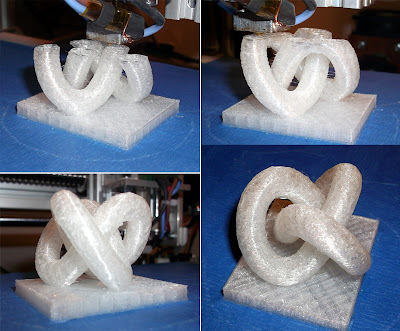 It's a really good design and printed out very nicely, check it out on Thingiverse, it's extruder design evolved to near perfection. 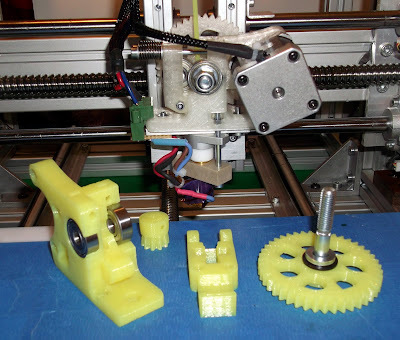 I printed a set of Heringbone gears to use on it, but I was so impressed with the way the 'normal' gears printed and worked, I decided to stick with them for now. 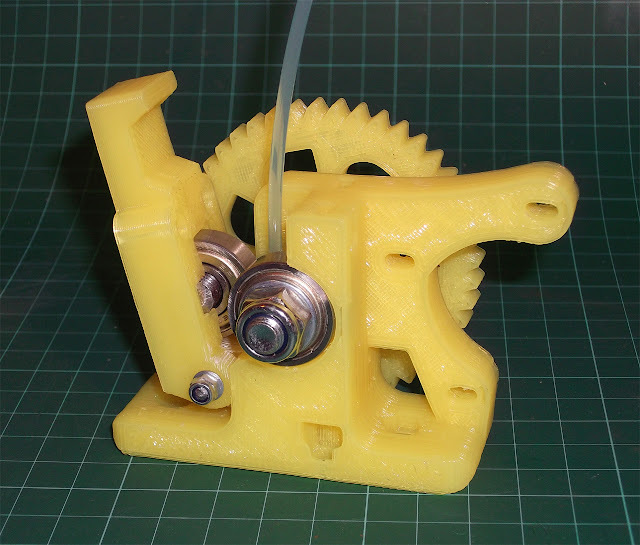 My wooden Bowden extruder printed the Clear PLA one and that just printed the yellow one with a small design improvement. 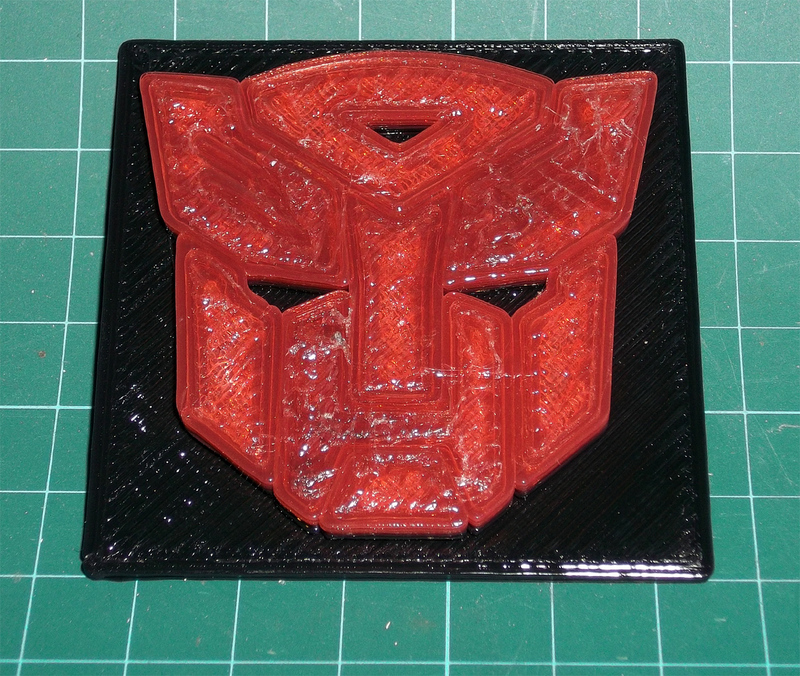 I wanted to see if running a direct extruder improved my prints over the Bowden setup, it is a slightly larger nozzle size and I'm experimenting with different coloured 3mm PLA at the moment so it's not a fair test quite yet. 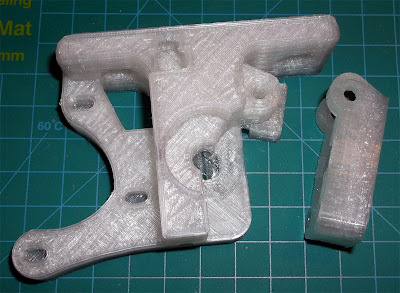 I'll let you judge if the prints are any better or not, I am now also running twice as fast so when I go back to my Bowden setup I'll need to speed that up also. 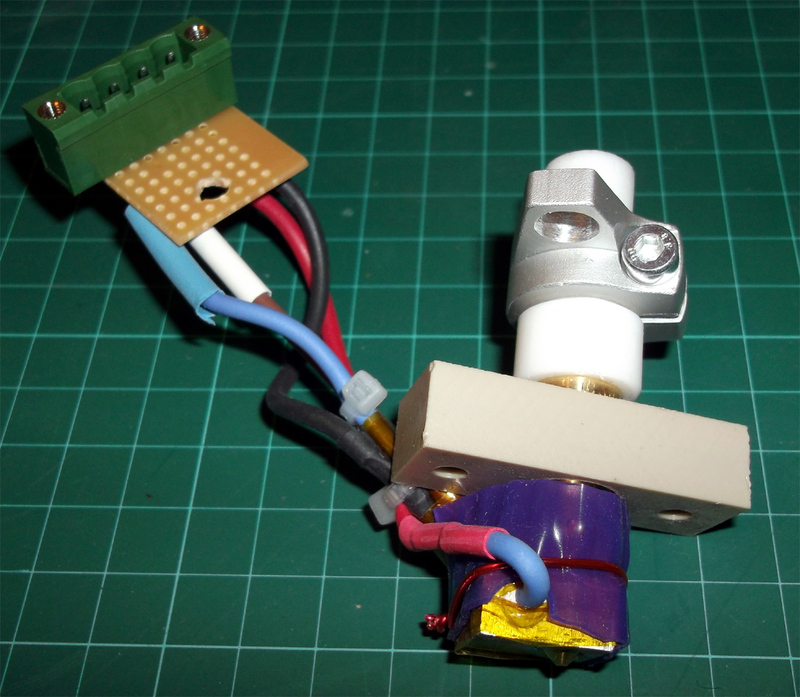 With this hot-end I have used just PTFE for the hot-cold transition zone, it stays cool-warm to the touch and no leaks so far. 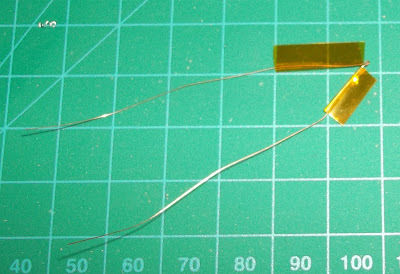 Little tip for anyone putting wires on the tiny little thermistors - cover both legs in Kapton first, the crimp lower down and wrap each connection with more Kapton and then more Kapton around the whole lot. 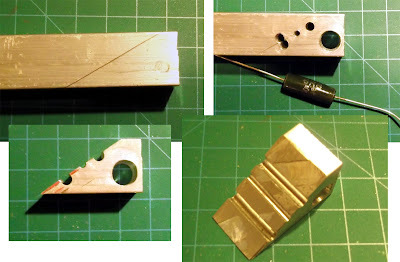 I found I was using a screwdriver to lever back the idler to remove and insert filament and generally clean out the hobbed bolt, so my minor improvement to Greg's design is shown below. 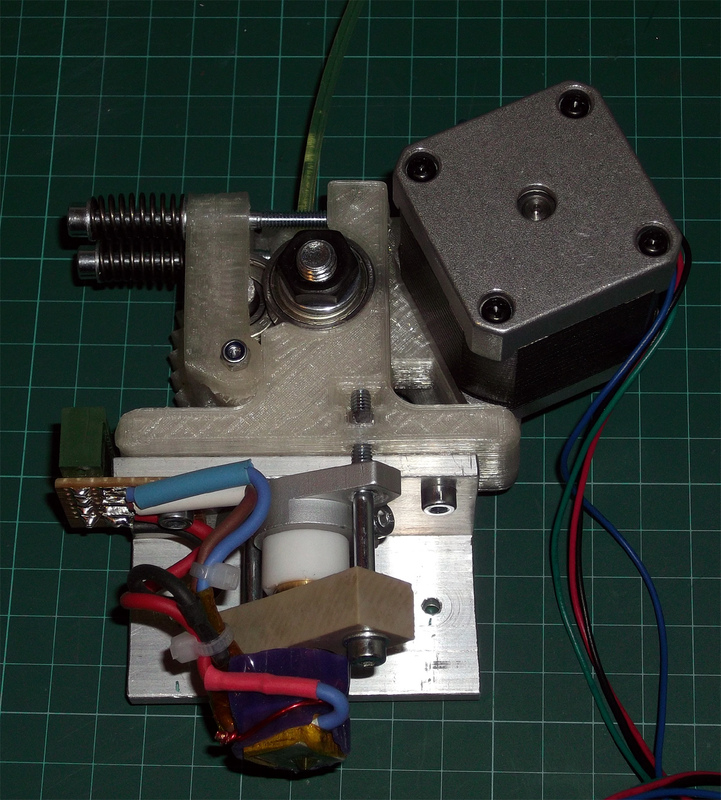 And this was the copy, with my own improvement to the idler, it has a built-in lever so you can pull it back to insert filament without undoing the sprung bolts. 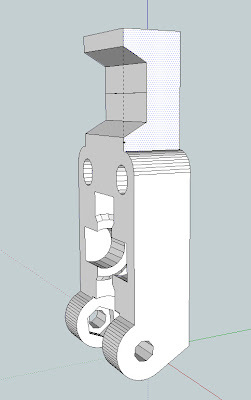 I hacked it up in Sketchup, so if it is of any use to anyone else, maybe Greg or someone can make it an option in the OpenSCAD original? 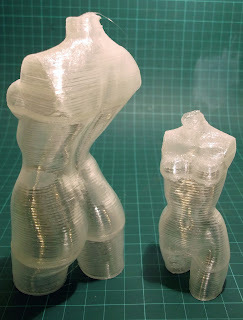 I printed a few things with the 'Fill' module turned off in Skeinforge, this is ok, but you only get one (fragile) shell 'outline' and no base or lid on your model, for me this seems to be a problem with 0.25mm layers, the material seems to collapse on itself. 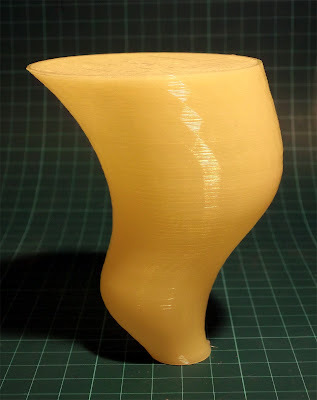 So I experimented slowing down the print but really I wanted to have extra material both to make the hollow object stronger and help it stay up during a normal speed print. 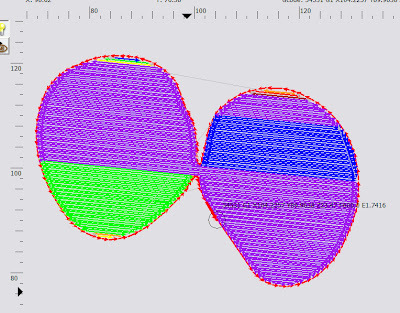 If you leave the 'fill' module enabled but set the infill density to 0 you get a hollow model and you can select multiple outlines and also get a nice base on your model, this seems to work really well if you are trying to print large things without a heated bed. 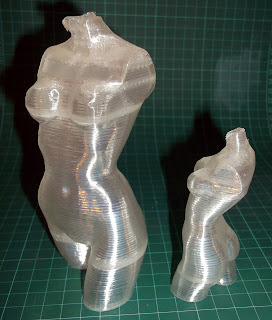 Here are some results printed at exactly the same speed I would print a solid model - (straight off the printer). 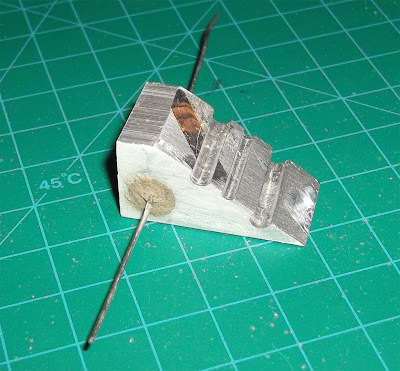 Solid base on the legs gives it a really good grip on the bed. Don't you love the way the light catches her............. curves. 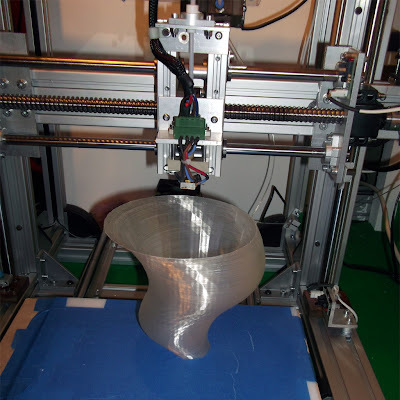 That was the tallest thing I had printed until the twister below. 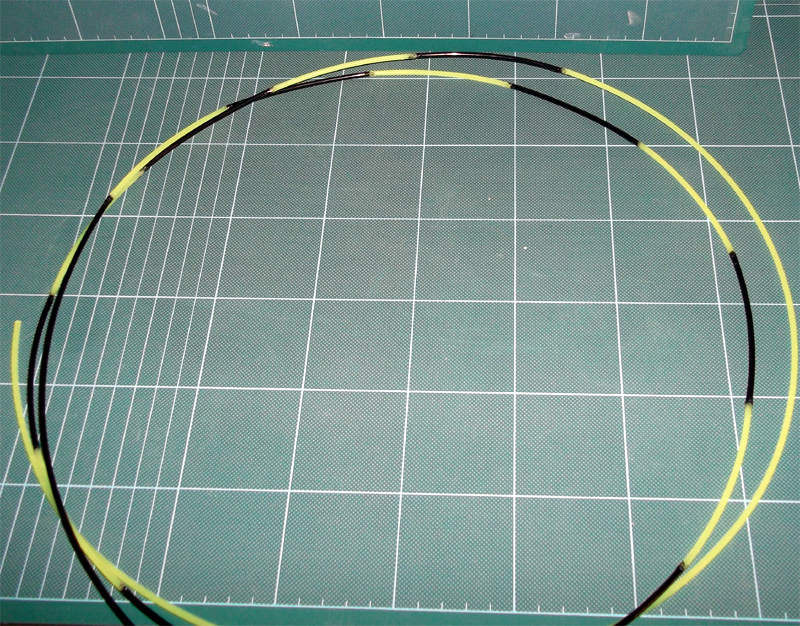 The full sized one is 600 layers @ 0.25mm each. 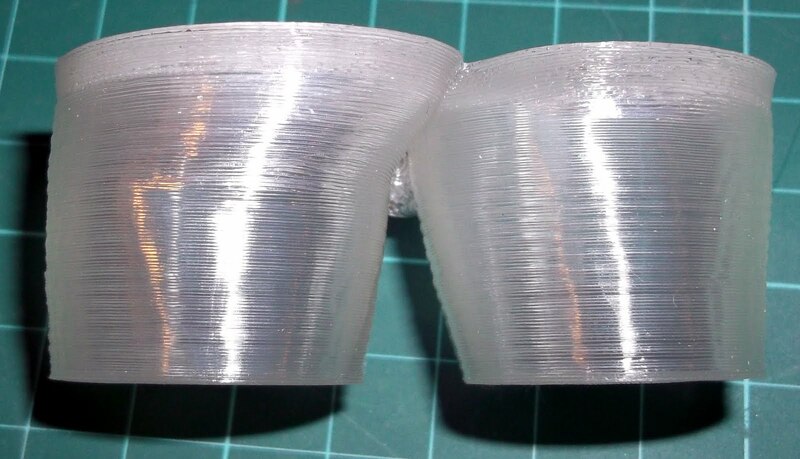 You can see from the edge that the visible banding is not a change in layer position and the object is almost completely smooth to the touch so the only thing I can think is that the slight change in heater temperature (bang-bang control) produces the banding effect? if anyone can confirm this or provide a better reason I would be interested in any feedback. The camera also seems to extenuate it so something optical may also be going on. 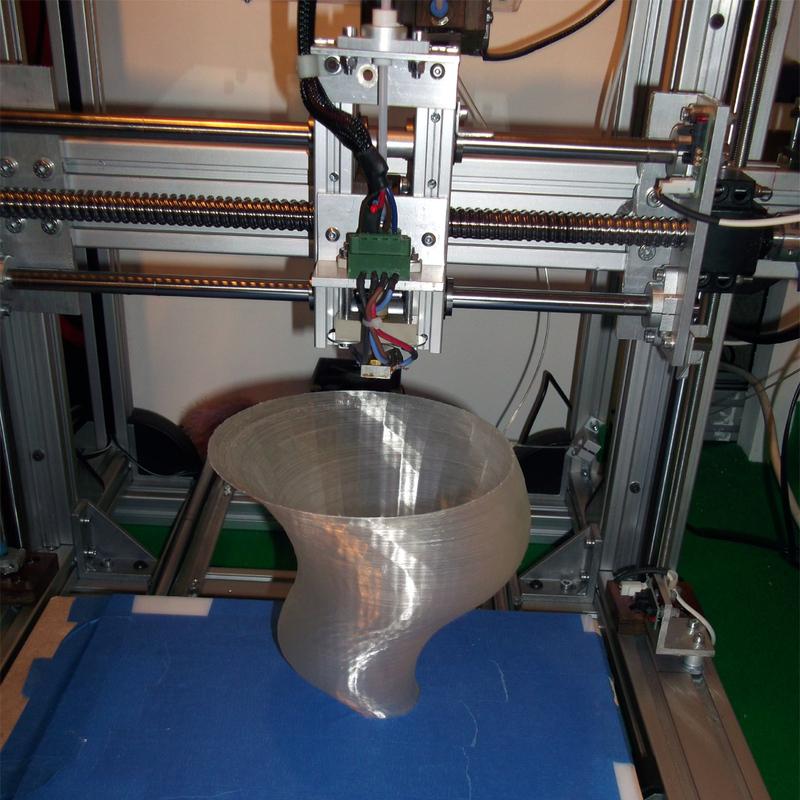 The next object (twister) below was printed with two shells and a base, and full sized it's quite big. I expect that I could have made it single walled if I slowed down the speed, but I would rather have a stronger object for the same print time. I have about 140mm more on my Z axis, so maybe I need to print something really tall next time. I'm almost certain this is completely watertight, and as it has a sealed bottom of 3 layers I could use it as a vase. Thanks for looking, and if you try printing hollow things let me know how they turn out for you. 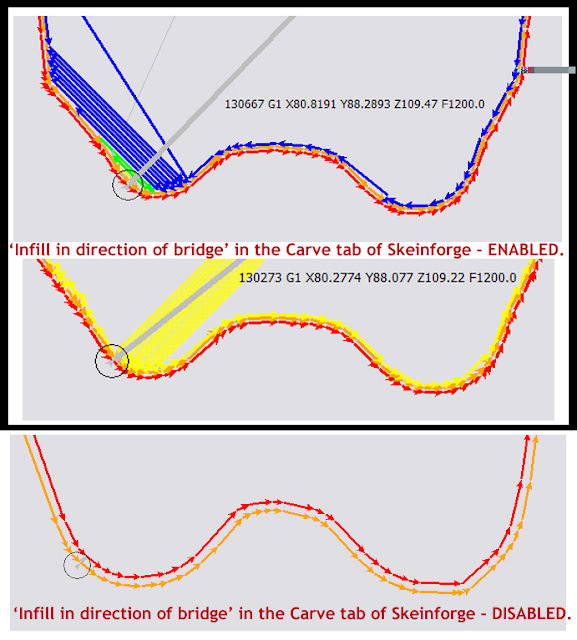 So you need to turn off 'Infill in direction of bridge' in the Carve tab of Skeinforge for some models if you want a nice clean hollow print, but make sure you have your extruding temperature correct for the filament you are using, as you will suffer bridging issues if it's not spot-on, without this 'infill-support' you will be spanning free space. 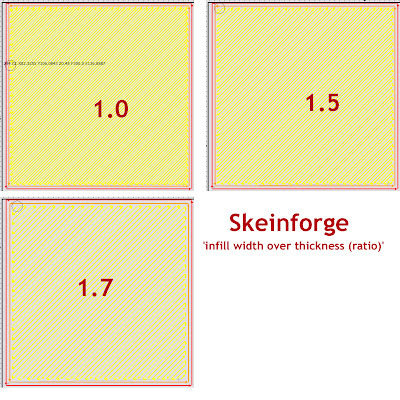 Skeinforge sees extreme over-hangs in the model which forces it to create the infill. 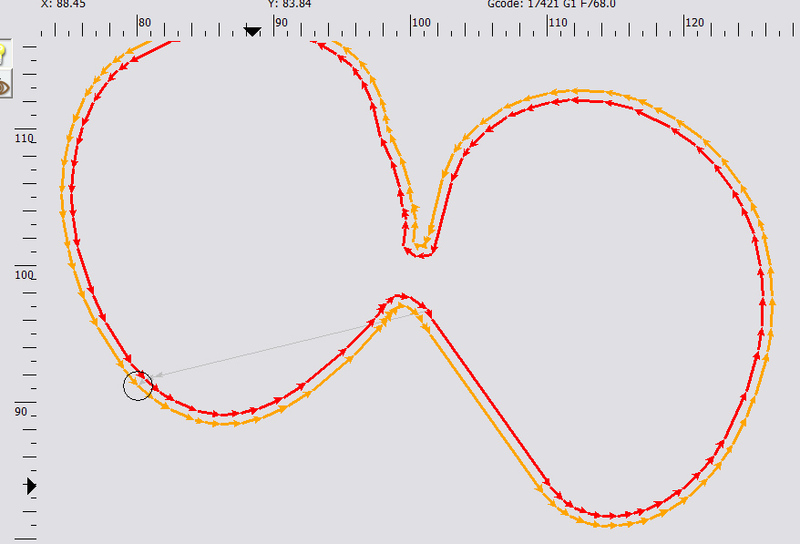 Thanks again Sublime, I'll try a few more hollow things now. I have been using Skeinforge for just over 1 week now and I'm starting to get a grip on this most fantastic program. After initial machine setup and printing with Reprap Java Host I always wanted to move over to Skeinforge, but it has a bewildering array of settings and control, quite daunting when you first start. 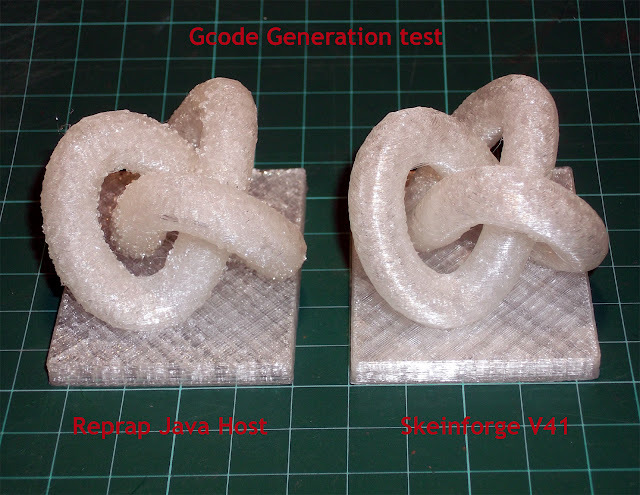 This image shows my best possible print quality I managed from Java Host to generate Gcode (on the left) and one of my very first Skeinforge prints with initial 'good' settings, and it's still getting better and better all the time I learn more about Skeinforge. Many thanks to everyone as I would have wasted a lot of time if not for this head-start. 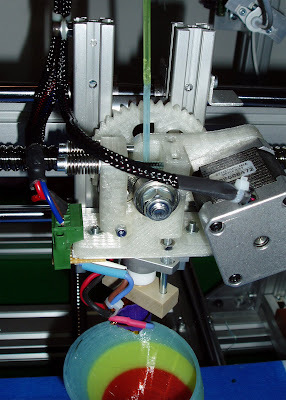 My setup is not typical of a Mendel or other Reprap, so your exact settings will be different, but the following information, notes and advice may help you get going if you are new to Skeinforge and are not sure where to start. 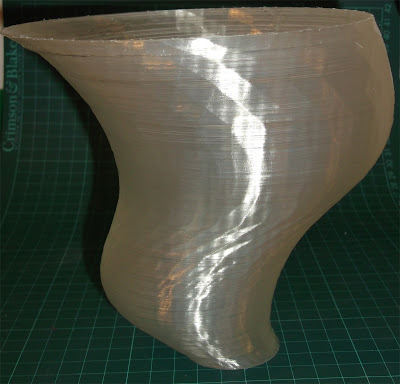 One of the first problems I had was the fact I didn't know how well my machine would print so it was quite hard to judge when I actually had it calibrated to a good standard. Other than looking at other people's prints on thingiverse it's hard to say how good your machine should be? I'm using a Bowden extruder setup that has some extra issues ascociated with controling filament hysterisis but the following is required for any extruder in any configuration. 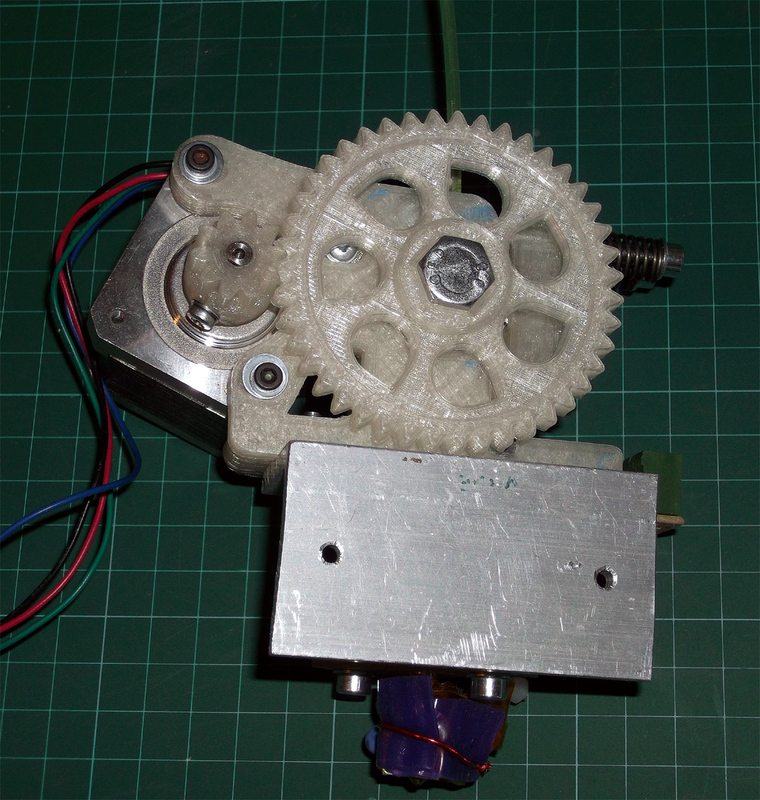 My extruder being belt driven is also different from a Wades or Adrian's geared version, but in principle operates in the same manner, but with different gear ratio etc. I setup my Extruder on a stepper motor test jig I had made to test Pololu modules, it's just providing a simple button to full-step the stepper motor. 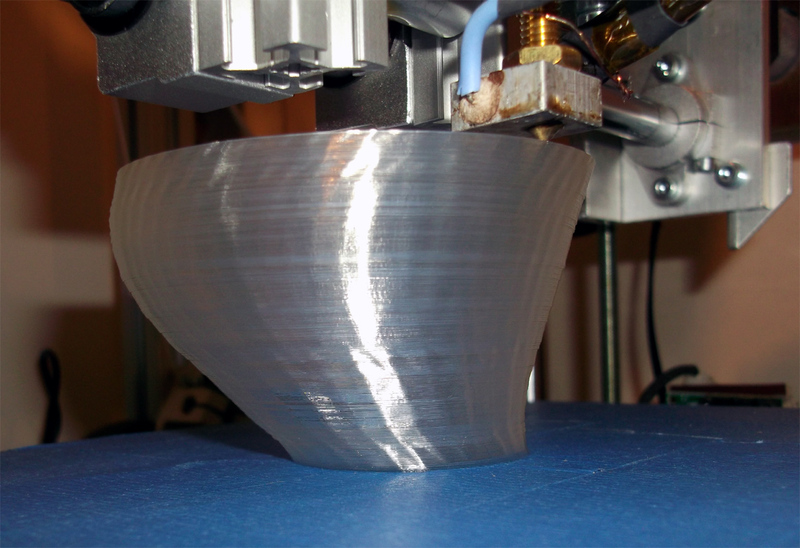 I'm using 1.75mm Feedstock and now Dimension requires you to set 1mm of INPUT feedstock. Before the firmware required 1mm of Extruder Feedstock, this is an important change and makes a big difference for making nozzle size changes easy and generally everything else easier. I marked the filament with tape on the extruder output and then counted how many full-steps (button presses) were needed to extrude 10mm of feedstock. I did this again in the reverse direction to make sure of my count. Take as accurate measurement as you can for this. So I used 153, recompile and download. 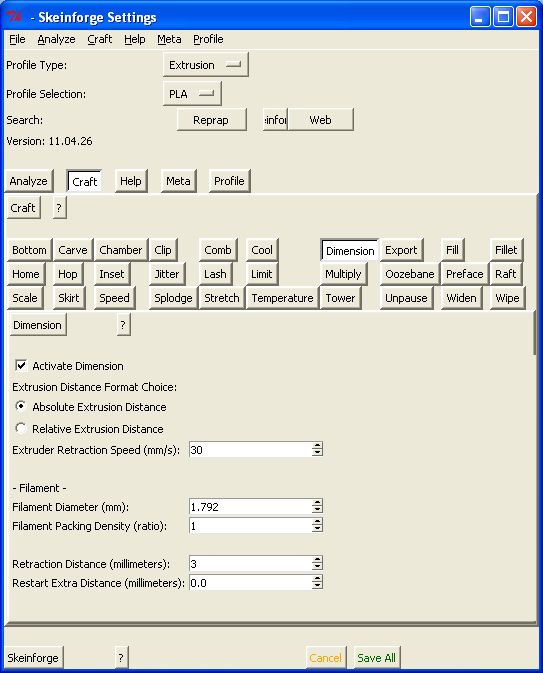 These settings need to be entered into the 'Dimension' tab in Skeinforge. The next bit of advice is to make your machine Go Slow for initial test and calibration of flow/feed, I wasted quite a lot of time trying to run my machine too fast before I had these settings correct, you can easily speed it back up afterwards. 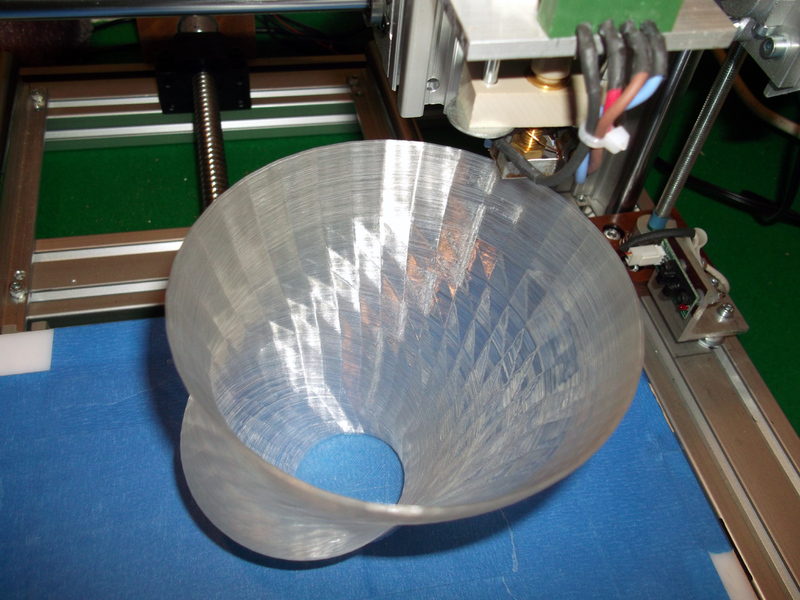 Set the extruder speed Feed and Flow the same value, I started at 16mm/sec and went up and down from there. This picture shows the effect of Flow/Fill on my machine (0.25 layer height) 160 layer 40mm tall 10mm cube. 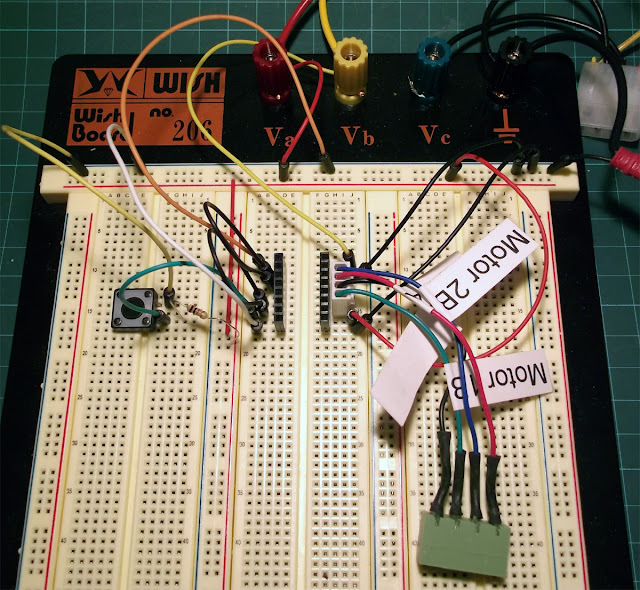 I decided to turn off 'Limit' as I have acceleration in my Firmware, but you may want to enable it to help protect your machine from over-speeding especially on the Z axis. 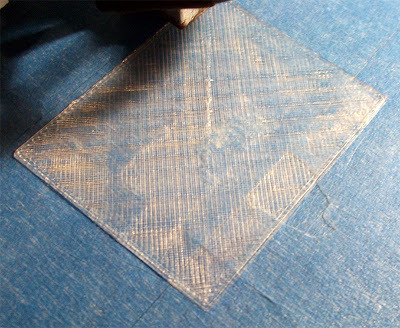 If you are not using a heated bed (or even if you are) you may want to make the first layer go slower than the rest to help it stick to the bed. 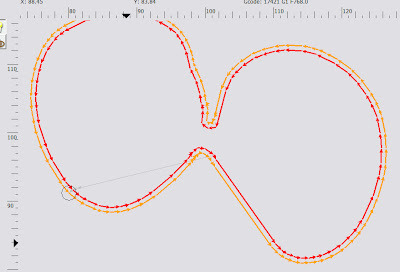 Raft can do this, although you don;t actually need to make a raft just use it for slowing down the first build layer outline and initial fill. 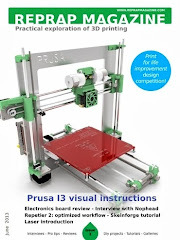 See the Above links to Reprap forum and Mendel-parts for more on this and all the other sections. 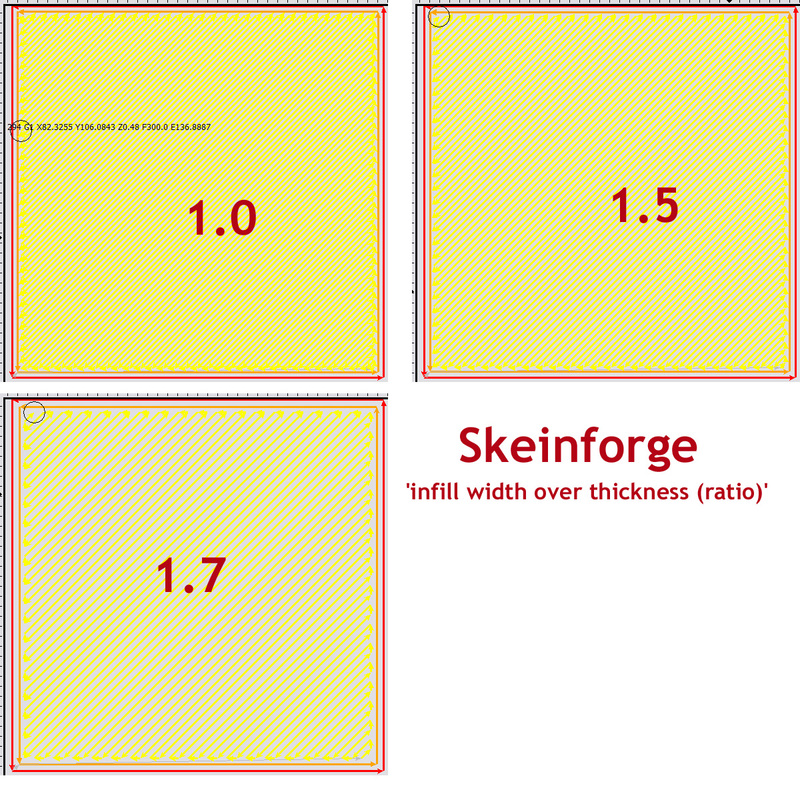 Some of the guides talk about setting 'infill width over thickness (ratio)' to 1.7 from the standard default of 1.5. 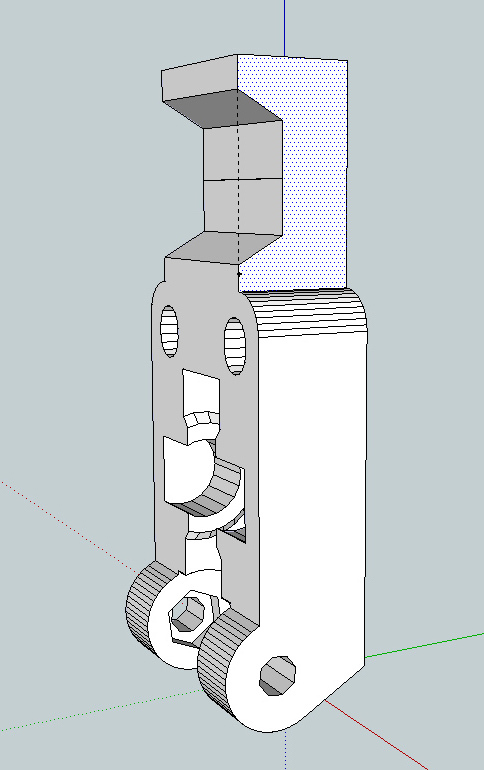 I found that my solid layers had too little plastic at 1.7 and 1.5 so my setting is 1.4, this gives me a perfectly filled solid layer without any 'spare' plastic, if your nozzle is pushing about plastic on subsequent layers of a solid fill (object base) then raise this number. if it's too sparce and you have tiny gaps between filament make this number smaller. 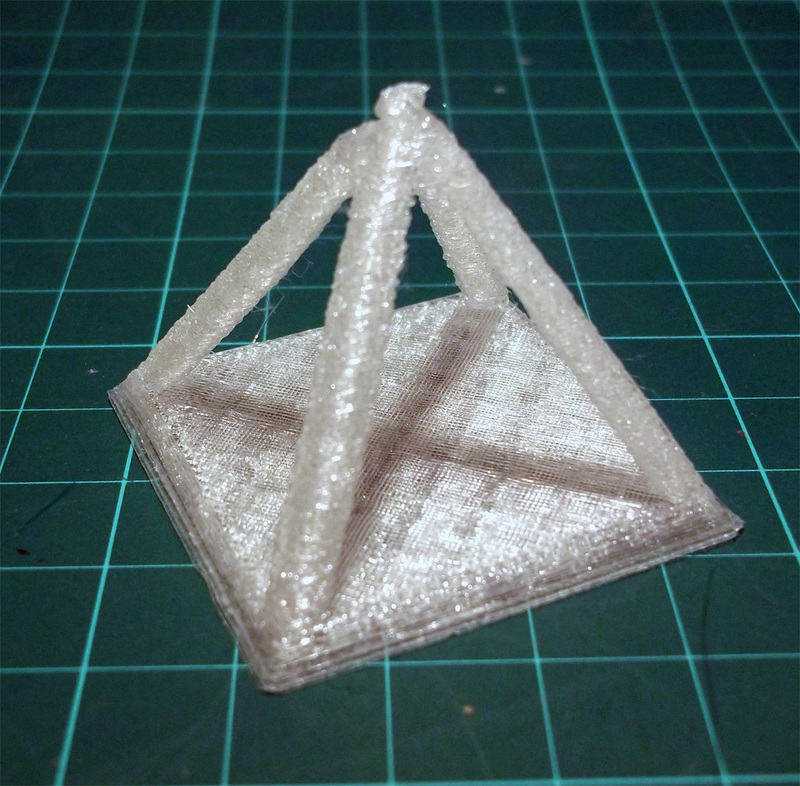 This solid base was with it set to 1.5, I settled on 1.4 in the end. 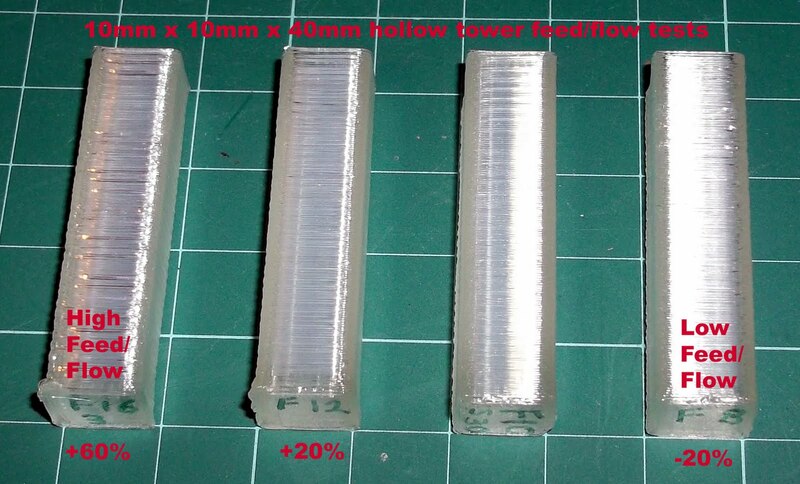 On the left is a 1mm reversal, middle is 2mm and printing on the right is a 3mm filament reversal. 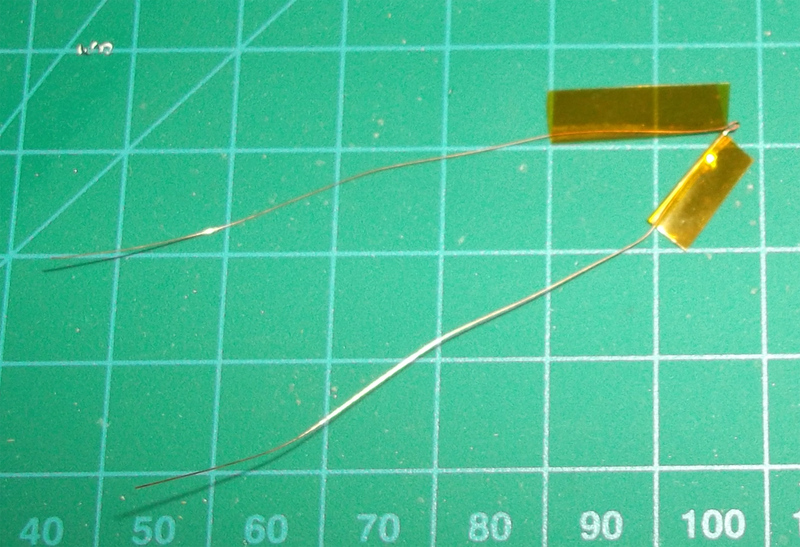 I may be able to get away with 2.5, but for now I'll stick to 3mm. It's easy to fool yourself into thinking you have ok settings using a standard test cube, I have found that this model (below) is an excelent peice for machine calibration and it's quick to print so you can try out settings quickly. This was still early on in the Skeinforge tweaking, but even so a great improvement over Java host. 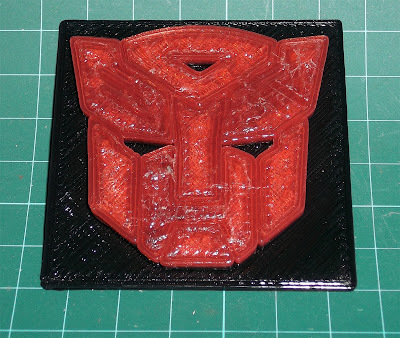 This was my most recent print, with super-refined settings. 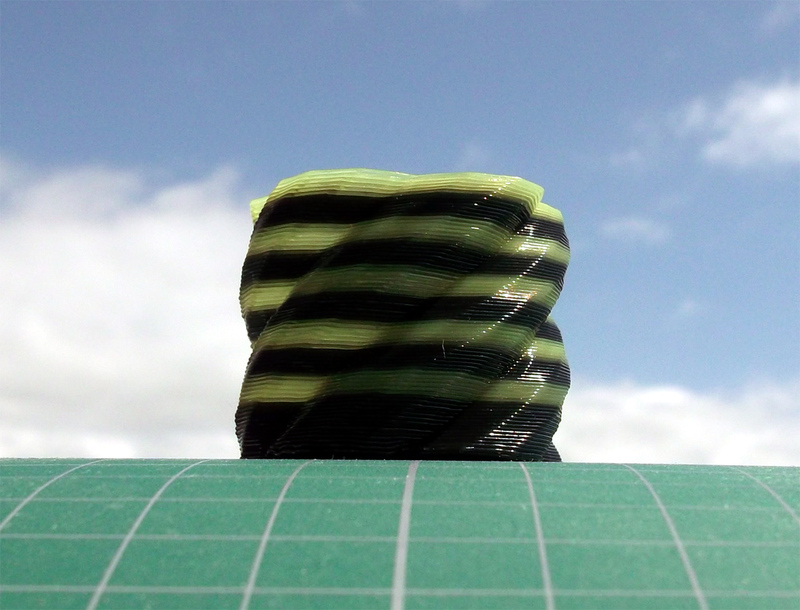 This proved to be a good test of filament spanning, you can see the solid layers at the top, under this is hollow, and then a solid base at the print bed. 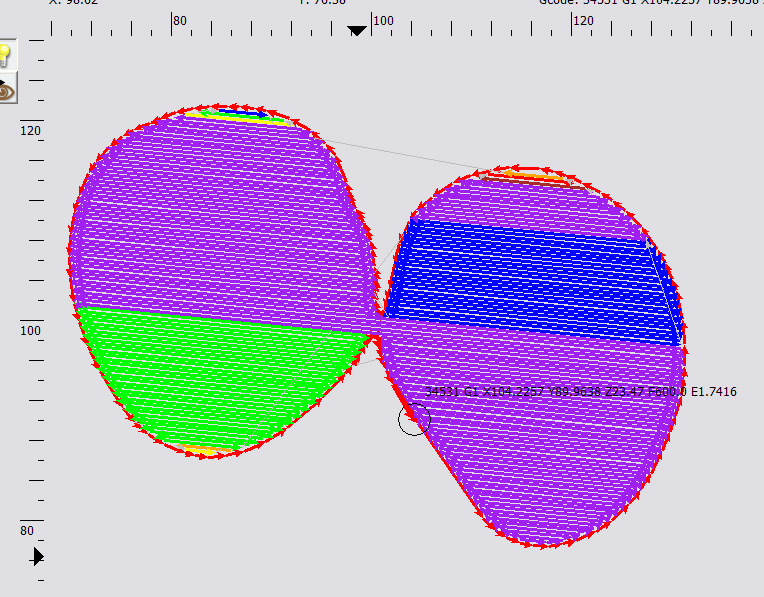 I stopped the print as I have hit a problem with Gcode generation on Hollow objects. I'm going to need some help on sorting that. Anyone like to guess on what this object is? When I get it all printed out you can see if you were correct. If you are new to Skeinforge, I hope that some of this may help you or at least show you that it's worth learning how to use it.